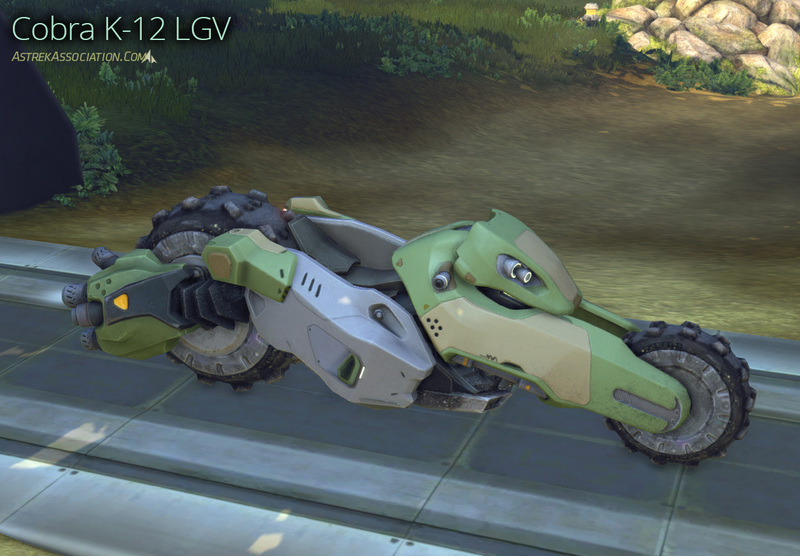 Vehicles are one of the most accessible ways to get around the world of Firefall, and there are a range of different vehicles available to players. Not all of these will be available forever, though, so it’s worth learning more about which vehicles are available and how you get them. Locust LGV: Grey/Silver. Reward for Commander-level Founders Pack during Closed Beta. No longer available. Vapor LGV: Orange. Received with purchase of $100 Red Bean pack during October/November 2013. No longer available. Vortex LGV: White/Red. Received with purchase of $100 Red Bean pack during December 2013/January 2014. No longer available. 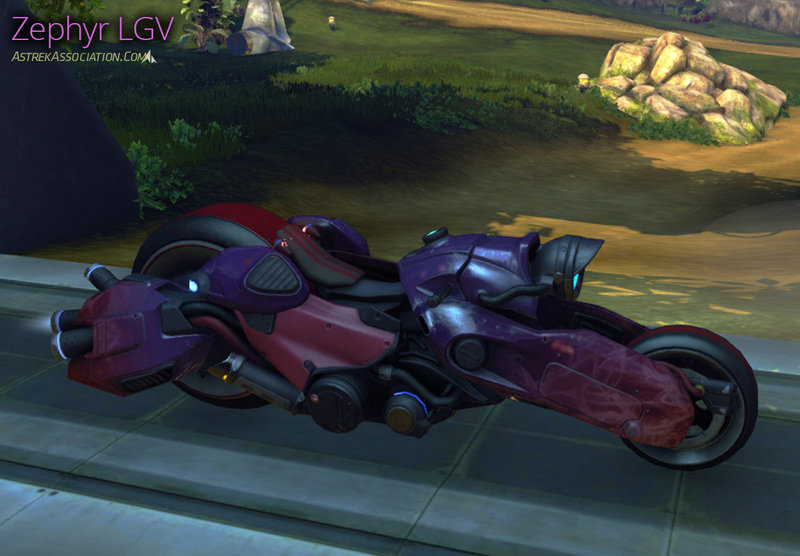 Zephyr LGV: Red/Purple. Received with purchase of $100 Red Bean pack during February 2013/March. Currently available. Omnidyne-M LGV: White/Black. Available indefinitely, from vending machine/marketplace. Cobra K-12: Grey/Green. Received as part of the ARES Starter Pack during Open Beta. No longer available. Cobra R-54: Purple/White. Available indefinitely, from vending machine/marketplace. 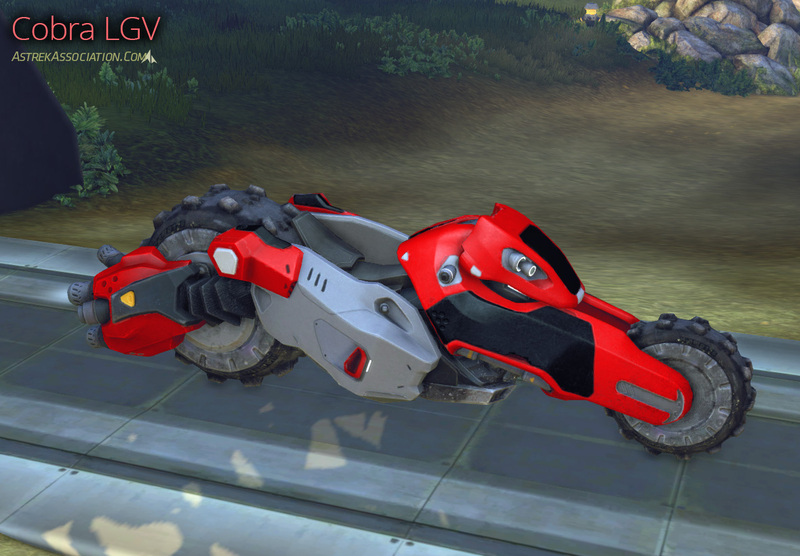 Cobra LGV: Red/Black. Purchased from the Beta Crystite vendor. Still available if you have Beta Crystite. Cobra P-39: Blue/Grey. Assembled from parts purchased from vendors. Available indefinitely. Race Cobra: Brown. Acquired from El Terremoto in Sunken Harbor. Only usable at race terminals. 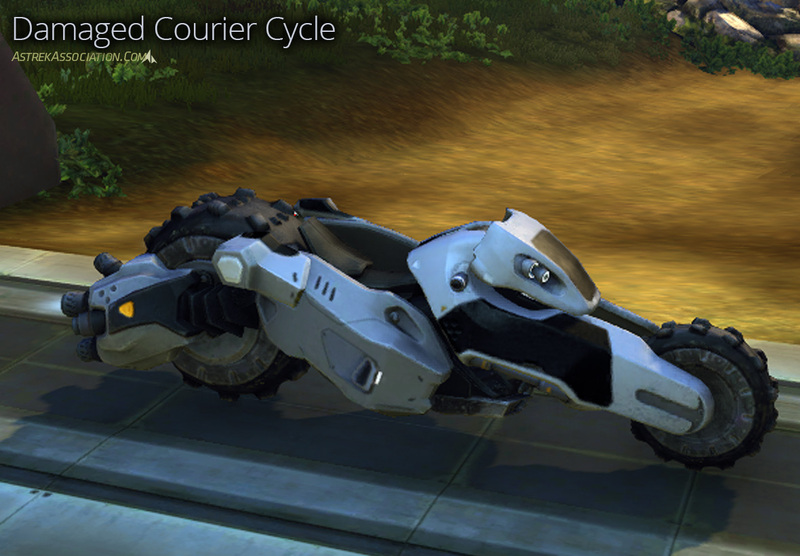 Damaged Courier Cycle: Black/Grey. Sometimes acquired from Crashed LGV dynamic events. Single-use, disappears on logout. Read on for more details about each bike. 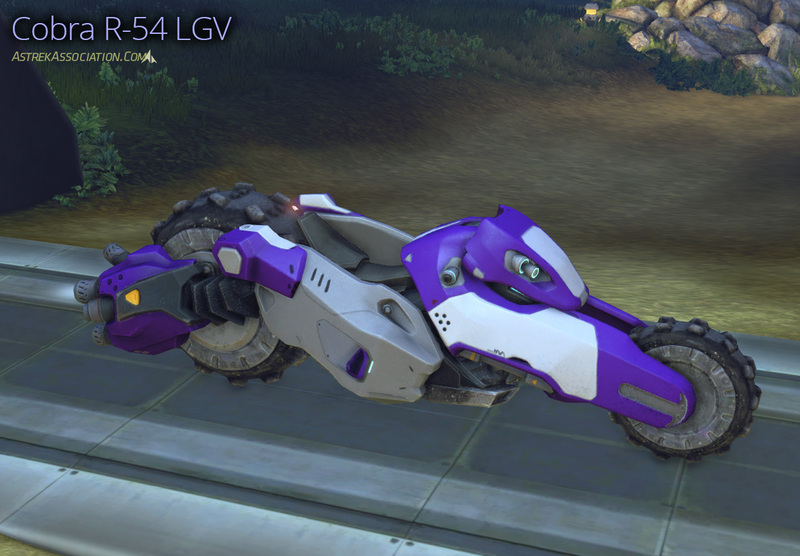 The Locust LGV was available during Closed Beta for Founders who purchased the Commander-level Founder Pack. It can no longer be acquired. The Vapor LGV was given free with the purchase of a $100 Red Bean pack in October and November 2013. It is no longer available. The Vortex LGV was given free with the purchase of a $100 Red Bean pack in December 2013 and January 2014. It is no longer available. The Zephyr LGV is given free with the purchase of a $100 Red Bean pack in February and March 2014. It is currently available. The Omnidyne-M LGV is available from the Red Bean Lottery Terminals as a random reward on spins using Omnidyne-M tokens. A newly-won Omniyne-M LGV will come in “Packaged” form, and you must use the Package from your Rewards calldown menu to add the LGV to your Vehicles calldown menu. The packaged LGV can also be sold on the ARES Exchange (player marketplace) for crystite – once it’s been unpackaged you can no longer sell it, however. 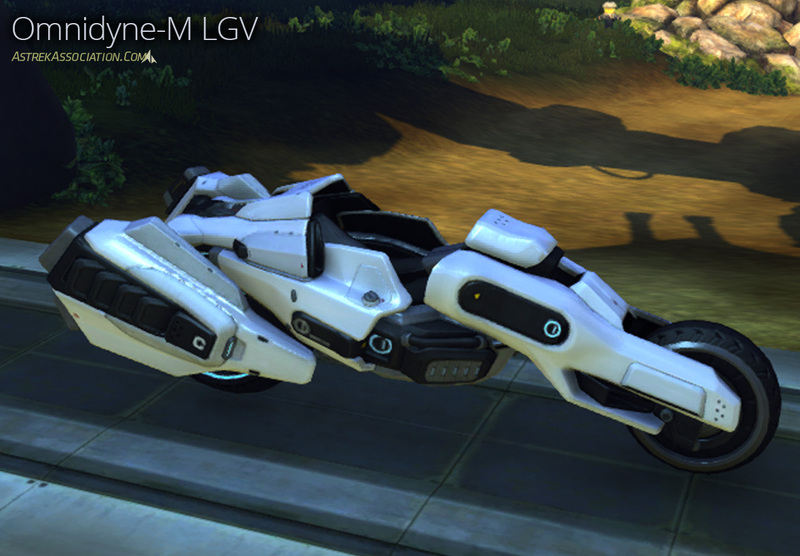 The Cobra K-12 LGV was received as a reward for purchasing the ARES Starter Pack during Open Beta. It is no longer available. The Cobra R-54 LGV was originally available from Luau Larry, the vendor for Red Bean items. It cost 175 . It’s now available as a random reward from the Red Bean Lottery Terminals, using Accord tokens. A newly-won R-54 will come in “Packaged” form, and you must use the Package from your Rewards calldown menu to add the LGV to your Vehicles calldown menu. Like the Omnidyne-M LGV, the Packaged Cobra R-54 LGV can also be sold on the marketplace if it hasn’t been unpackaged yet. The Cobra P-39 is available indefinitely, but costs a substantial amount of in-game resources. You can assemble a Cobra P-39 at the nanoprinter (the schematic is in the ‘Vehicles’ category), from components purchased from Vehicle Component Vendors. These vendors are available in all major cities when they’re powered up to Level 3. For more about this process, and maps of exactly where to find each vendor, check out our Powering Up the POIs Guide. You’ll need to visit all four cities, as each vendor only sells one component. This table lists the components you’ll need, and where to find them. 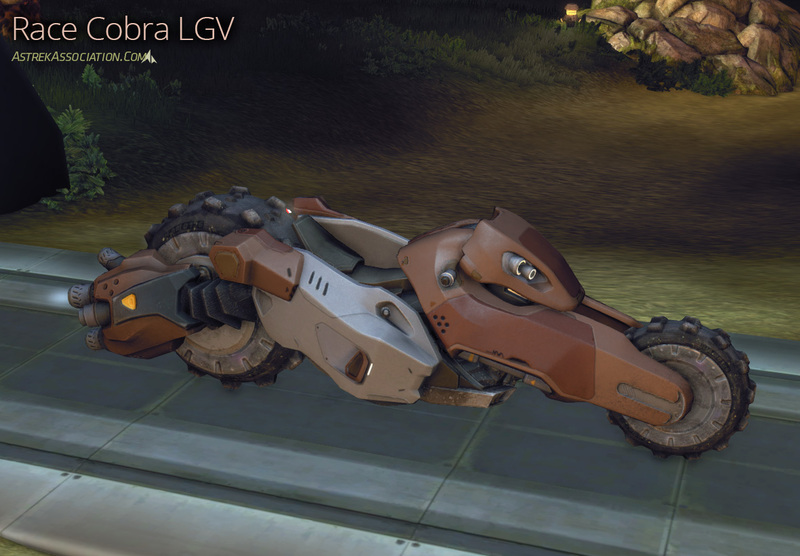 The Race Cobra LGV is available indefinitely; you can get it from El Terremoto in Sunken Harbor. It’s a freebie for use in bike races. There’s a catch, though: although you can keep the bike forever, you can only call it down when you’re near a Race Terminal in one of the four major cities. Once you’re on the bike you can ride it wherever you like, but it only lasts for a few minutes – after El Terremoto thinks you’ve had enough time to complete the race, he’ll arcfold your Race LGV away. (And by ‘arcfold’ he actually means ‘blow it up underneath you’.) You can resummon it whenever you’re in a city, though. The Damaged Courier Cycle is a potential reward for the Crashed LGV dynamic world event (for more on the Crashed LGV and World Events in general, see our New Player Guide). The Damaged Courier Cycle has several limitations: first, it’s a one-shot item, so once you dismount and it despawns you’ll have to get another; second, it’ll disappear if you log out. You can have multiple copies of this bike, but the UI doesn’t show you how many you have until you’ve run out. 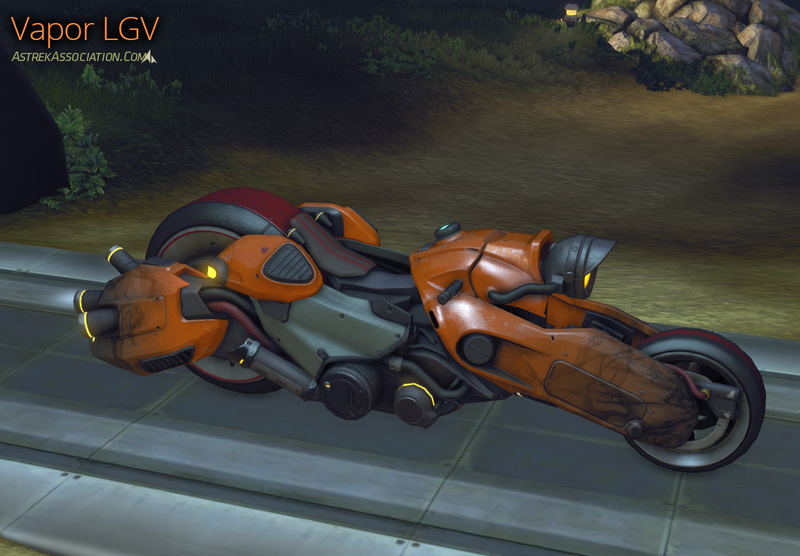 The Firefall New Player Guide: I'm New, What Do I Do? so the red cobra will be gone after the open beta???? Those who have it will keep it, but you won’t be able to buy it after the end of Closed Beta. I was just curious which of these Cobras is available in the Vending machine. I Love the guides!! That’s the R-54, the purple and grey Cobra that you can also buy with Red Beans straight from Luau Larry. 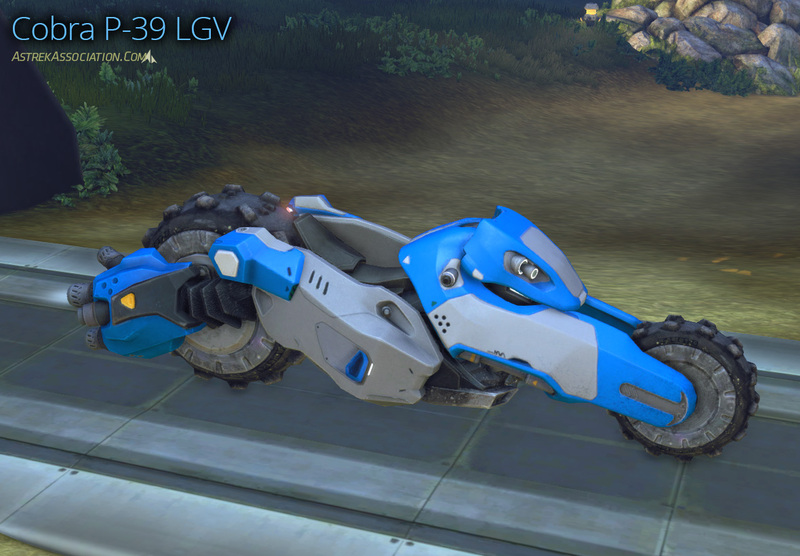 The Cobra K-12 LGV available from the Starter Pack has changed color to the ARES color scheme after a patch, which is green/brown. A race starting line can be generated and a LGV can be deployed. The race starting line can be crafted and the race LGV can be acquired from Sunken Harbor from NPC. Hope it helps :) ! Yes – there are three different models: the Locust LGV (in one paintjob only), the Vapor LGV (in one paintjob only), and the Cobra LGV (in multiple paintjobs: blue, red, purple, and grey/green plus brown and white temporary LGVs). 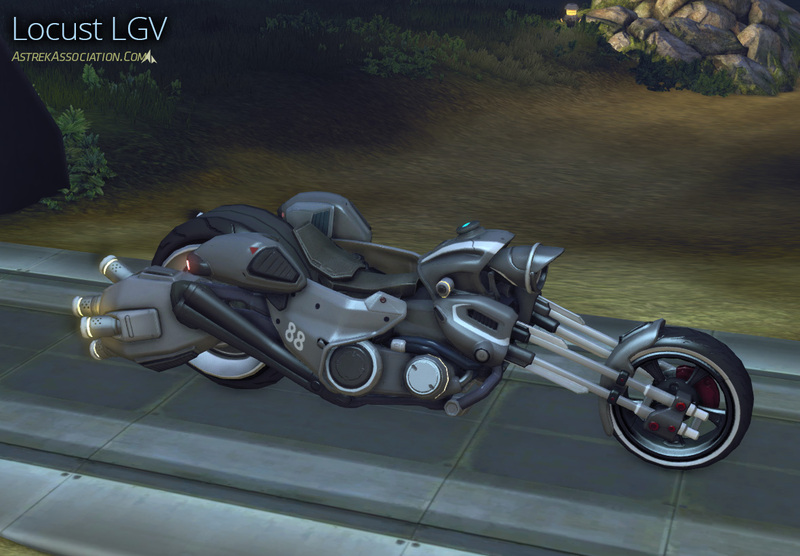 There is absolutely *no* difference between any of the bikes except appearance. Cobra K-12 is *not* currently available. It doesn’t change with ambient lighting anymore than any other bike now. Whoops, we try to keep on top of the various “pack” items and edit posts when they become unavailable; this one must have slipped through the cracks. Thanks for catching it. 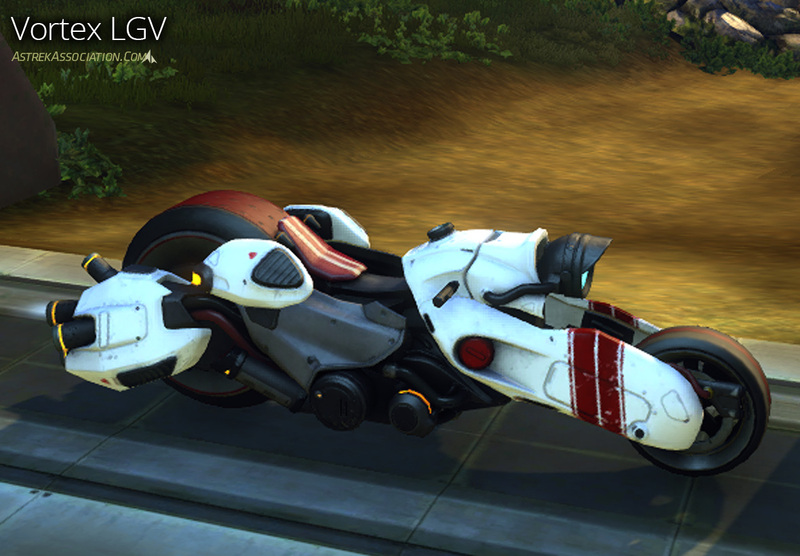 The Race Cobra has changed several times – first it was a white Cobra like the Damaged Courier Cycle, then they changed it to garish red and neon green, and in a recent patch (some time in October, I think) it got its new brown colouring. The cobras also gained new animations in the same update. Some of the jets on the back collapse inwards when the engine is not running (when you first call it down or several seconds after you get off it). There is also a new calldown animation that makes it look like it is being spawned from above.